We are a family-owned business that seeks to share our passion for ice skating with the Austin community. Our mission is to promote ice skating by offering a fun, safe, and service-oriented destination for skaters of all levels. Chaparral Ice has become Austin’s premier ice facility, serving 44,000 people per year through public skating hours alone. As the only NHL regulation-sized rink available to the public, Chaparral Ice functions as the rink of choice for a variety of athletic groups. Austin’s figure skating community also calls Chaparral Ice home. Skaters of all skill levels and disciplines have access to a variety of resources and services, both on and off the ice. Chaparral aims to provide something for everyone through a wide variety of programs and events. Chaparral Ice teaches the Learn to Skate USA curriculum utilized by more than 1,000 programs worldwide and endorsed by the U.S. Figure Skating Association, USA Hockey, US Speedskating, the Professional Skaters Association, and Special Olympics. With fun and safety at their core, our classes provide fundamentals for recreational skating and a solid foundation for achieving success in figure skating, hockey, and other ice sports. Year-round day and evening classes are available! Specialty classes are offered each session as a supplement to our regular classes and to enhance the training experience for more advanced skaters. Classes are rotated each session and cover a variety of disciplines. Whether it’s your first time on the ice, you’re returning to a favorite pastime from childhood, or you wish to continue training for competitions, our classes will guide you through the process with a focus on fun and safety. With programs catering to both recreational and competitive players, Chaparral has something for hockey buffs of any skill level. It’s important for players to become comfortable on the ice, learn basic hockey stance, stride, knee bend, use of edges, and how to hold a stick before moving into a learn-to-play or full hockey curriculum. Hockey skating classes are based on USFSA Hockey 1-4 curriculum and Learn-To-Skate classes on USA Hockey Initiation program curriculum. Texas Rising Stars -- The Premier Youth Recreational Hockey League in Austin. We host one fall season that runs from September through March that focuses on fun and skill development and then a short spring and summer sessions that are a mix of recreational games and skill camps. For kids ages 5 through high school. Texas Junior Stars -- This organization is a non-profit travel youth hockey league in the Austin area. Boys and girls from the ages of 8 to 18 participate in 3 divisions (B, A, AA). The majority of TJS members skate from August through March, and some teams skate through the summer as part of off-season training programs. League offers multiple levels of play from AA- (only college, junior, and/or professional playing experience) to C (novice to beginner). Teams consist of 12-13 skaters and 1 goalie and games run three 13-minute stop time periods with refs and scorekeepers. 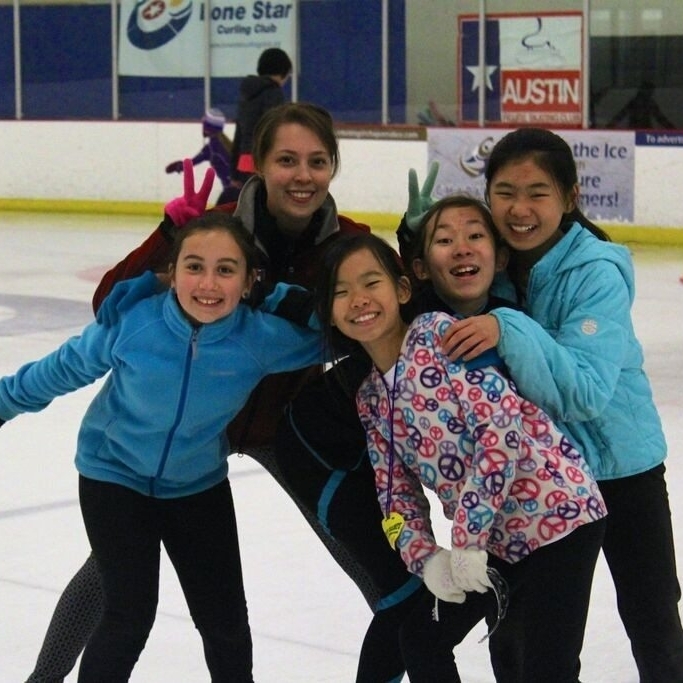 Austin residents can draw from the facility’s deep well of talent through Learn To Skate USA programs, intermediate skill classes and advanced private lessons for recreational and competitive skaters of all ages. Chaparral offers all kinds of cool stuff to do! Chaparral Ice offers broomball, dodgeball, curling, birthday parties, and private skating hours in addition to classic, unstructured public skating. Easy access from Burnet Road (behind Sonic). The facility is open for programming from 5am to Midnight 7 days a week. Please see public session hours for specific hours of operation for public hours.